Copy and paste this code on your site. How do I get my ‘My Data’ URL? 5 . 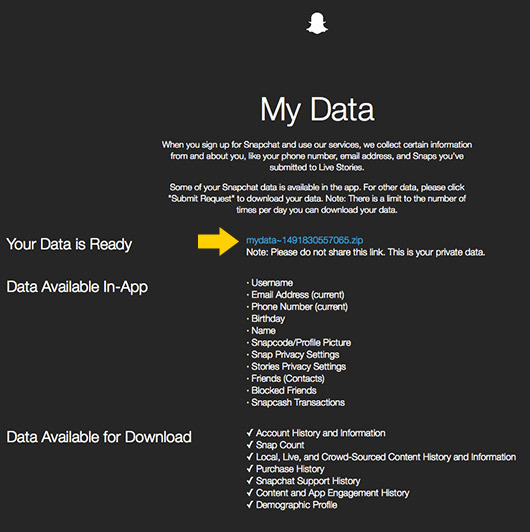 A confirmation message will notify you that you are going to receive an email once your data is ready for download. 6. When you receive the email, open it and click on the link to access your data. 8. Right-click on the link and select “Copy Link” - it is important to only copy the link in this way. 9. 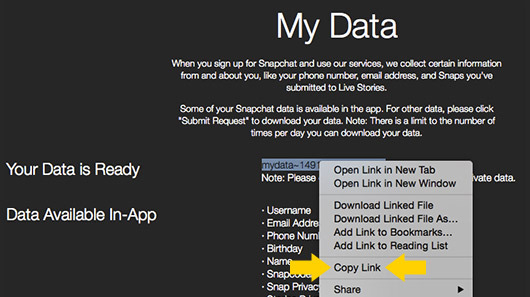 This is your Snapchat ‘My Data’ URL. Once you have copied the link, paste it in the original field and away you go! 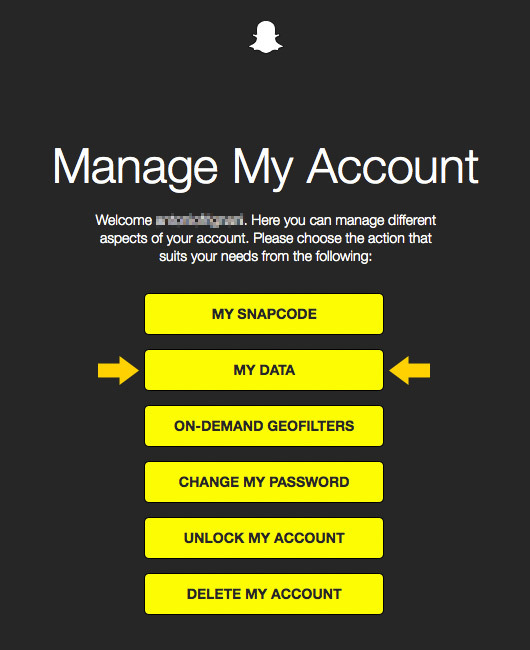 You have now added your Snapchat account and have increased your chances of being invited to our campaigns! * We do not register any data on our server. Data is only stored and analysed for a limited time and then deleted. We do not share any personal data with a third party.